Liverpool manager Jurgen Klopp insists he has no divers in his Liverpool squad after Mohamed Salah was accused of simulation against Arsenal. Salah scored his 16th goal of the season in Saturday's 5-1 win over Arsenal at Anfield after referee Michael Oliver adjudged he was brought down by Sokratis Papastathopoulos in the first half. The Arsenal defender then confronted Salah as both teams left the field for half-time with the Greek international questioning the penalty decision in an exchange in the tunnel. 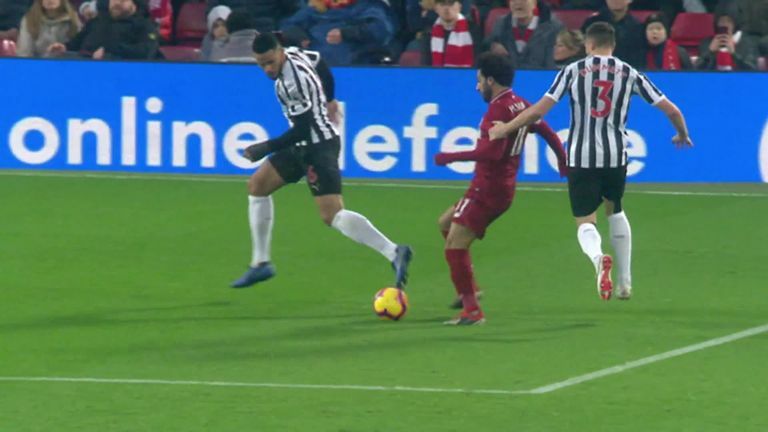 Salah also earned a debated penalty on Boxing Day when he went down following contact from Newcastle defender Paul Dummett. Klopp defended Salah on both occasions and cited Sky Sports News' Ref Watch, where former Premier League referee Dermot Gallagher agreed with the match official's verdict. "Look, I'm three years in (at Liverpool). And of the few things I read in the English press is the Ref Watch on Sky after the game," Klopp said. "Not a lot of times have I thought 'That was a penalty' and then looked at it to find it was not the right decision. "Dermot Gallagher said (after Newcastle), 'penalty.' His arm was there. "Do we need blood for a proper penalty? I think no. In that moment, if you don't touch Mo and he makes the next step and shoots - and we know he's pretty good at that - these are the situations. "I haven't seen it back (with Sokratis) and I have no clue about what happened around it but the ref really was close to it. "We don't have divers and that was not a dive. The other one is not a dive. The ref decides it." Premier League leaders Liverpool face second-placed Manchester City at the Etihad on Thursday, live on Sky Sports, where a win could take them 10 points clear of Pep Guardiola's side.